Last year the Secret Cinema was invited by Towson University in Maryland to create a special film program about fashion and beauty, to complement a related gallery exhibition. We thought the resulting set of short films worked so well that we presented the same program back here at home, at the Rotunda. This year Towson asked us to tie in to another gallery exhibition, focusing on technology, computers and machines. And guess what? Yep, we were so pleased with our work that we'd feel guilty not sharing it with our regular Philly audience! On Thursday, May 9, we'll present Technorama at the Rotunda in University City. The program showcases films spanning eight decades, and made for different purposes, but all related to technology. There are vintage theatrical shorts, educational films, school guidance films, promotional films and even cartoons, all tracking the progress man has made since that ape first killed another ape with a bone (or whenever the first use of a tool/machine really was). All of the films to be included we've either not shown in a long time, or never showed here at all (to meet this goal, we've replaced a few recently-shown films from the Towson screening). There will be one complete program, starting at 8:00 pm. As with all screenings in the Rotunda's monthly film series, admission is free. 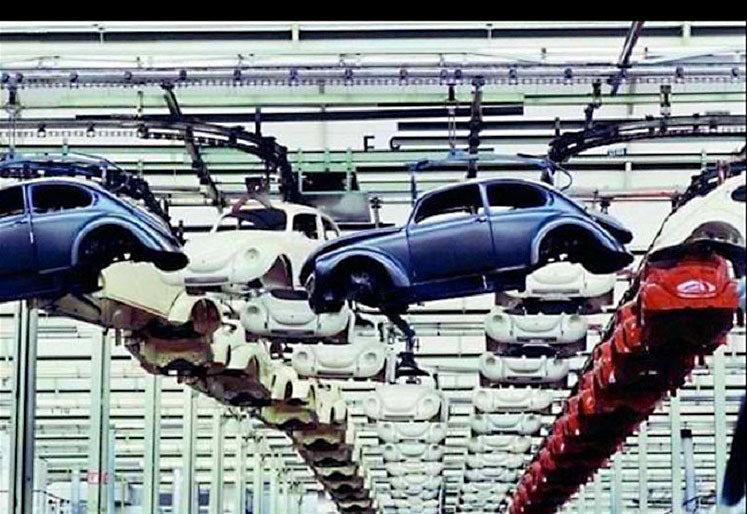 Melody for Machines (1963, Dir: Kenneth Baldwin) - Originally made as an advertising film for Volkswagen, this colorful, fast-moving short was deemed good enough for theatrical release by Paramount -- re-edited, with narration replaced by an upbeat jazz score. It shows machines (computers) controlling machines (robots) to make more machines (automobiles). It's almost disappointing when a few human workers appear. The Story of Television (1956) - Fascinating sponsored film (made by leading equipment manufacturer R.C.A.) detailing the already complicated history of a once amazing invention that would soon be labeled "the idiot box." It chronicles early experiments, live coverage of the 1940 presidential convention, and the then-new broadcasting of color programs. The Law and the Lab (1956) - This topical theatrical film demonstrated the increasing importance of science and technology in modern (1950s) police work. 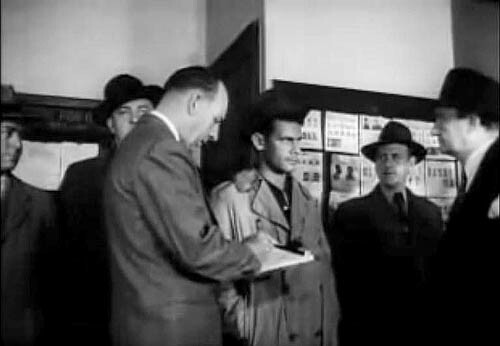 While essentially non-fiction and one short reel in length, it displays the film noir style so prevalent in fiction features of its era. What on Earth! (1966, Dir: Les Drew & Kaj Pindal) - An amusing animated view of man's seemingly most precious machine, the automobile -- as viewed by Martians. Plus General Electric Radio Controlled Guidance System, House of Tomorrow, It's an Electric Life and much more! If you'd like to subscribe to announcements of upcoming Secret Cinema events, then e-mail us by clicking HERE. Please specify in your message where you are located. Click HERE to learn the history of Secret Cinema. Click HERE to read about recent Secret Cinema events. Channel 29 news piece on Secret Cinema from 1999!